If you’d like to learn more about 108, click here. 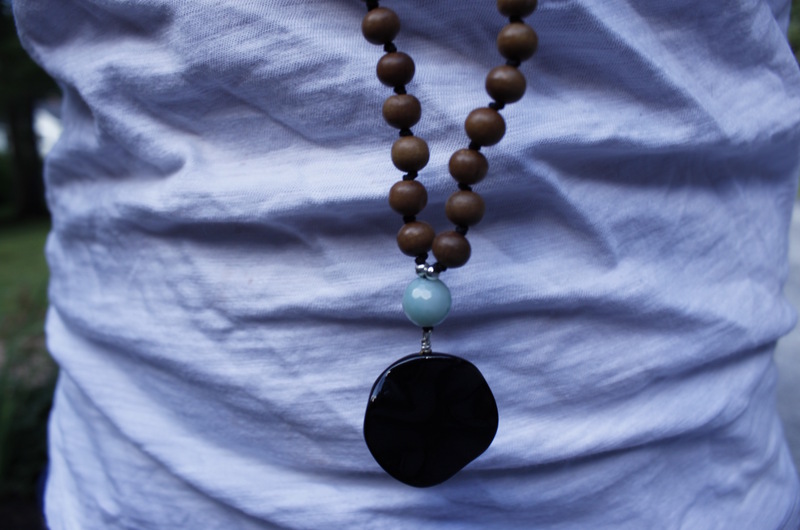 The biggest challenge I’ve come across while using mala beads instead of guided meditations is that in a guided meditation you are given a point of focus or mantra and while using mala beads you have to come up with your own. 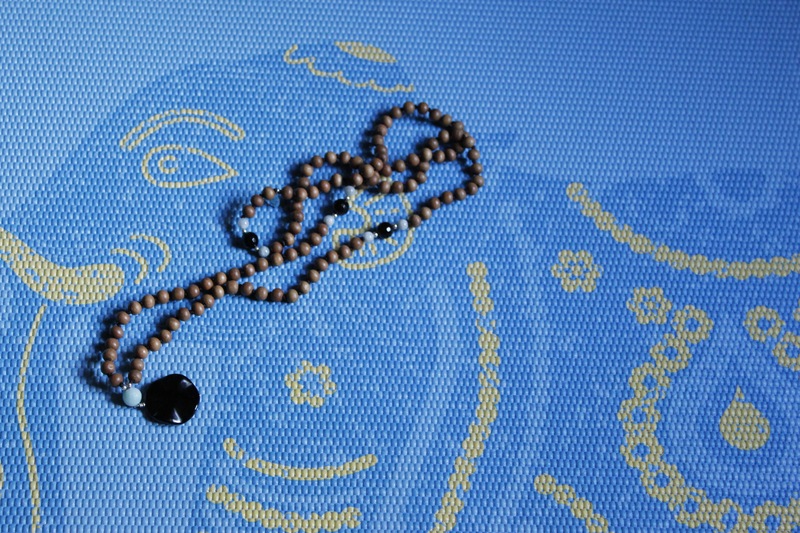 A mantra is a word or sentence that is repeated during meditation. Often times a mantra focuses on an intention. Picking a mantra is a very personal choice. I’m still playing around and finding what works for me. I’ve even gone as far as using hakuna matata – it does mean no worries. But finding the perfect mantra isn’t something you should worry about. That pretty much defeats the purpose. For starters you can check out this list, Google mantra inspiration, or simply use “Om”. 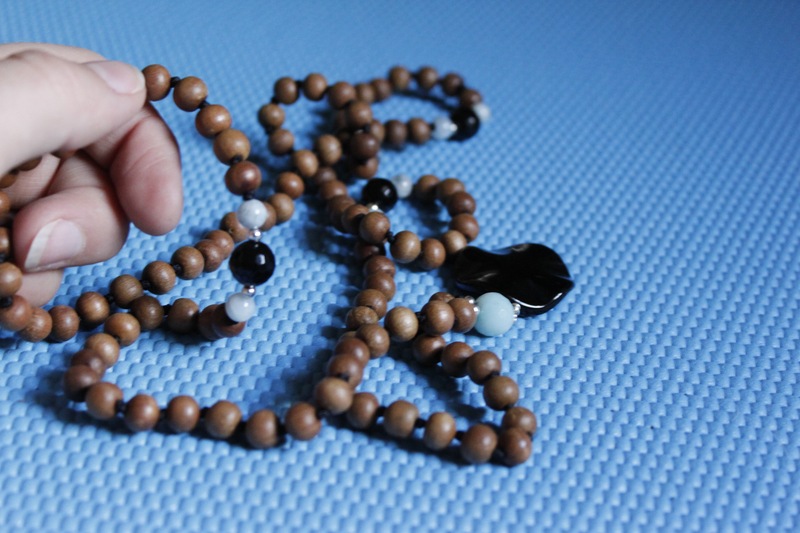 Once I decided I wanted to incorporate mala beads into my practice, the first step was to find the perfect mala. I knew I wanted to find one that was meaningful and could serve as a reminder of my intentions. I ended up buying one from Blooming Lotus Jewelry for a variety of reason. I will admit that these pieces are on the pricey side, but I justified the price knowing that I would have and use it for many years to come. There was also an inner force in me saying, “Annie you paid this much money, now you better use it!”. 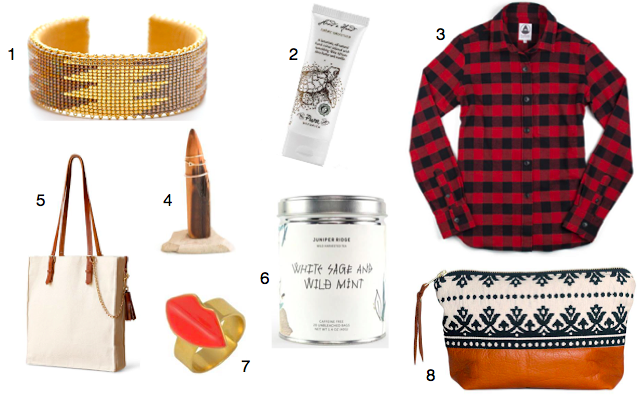 I liked that the products are hand made out of high quality materials. 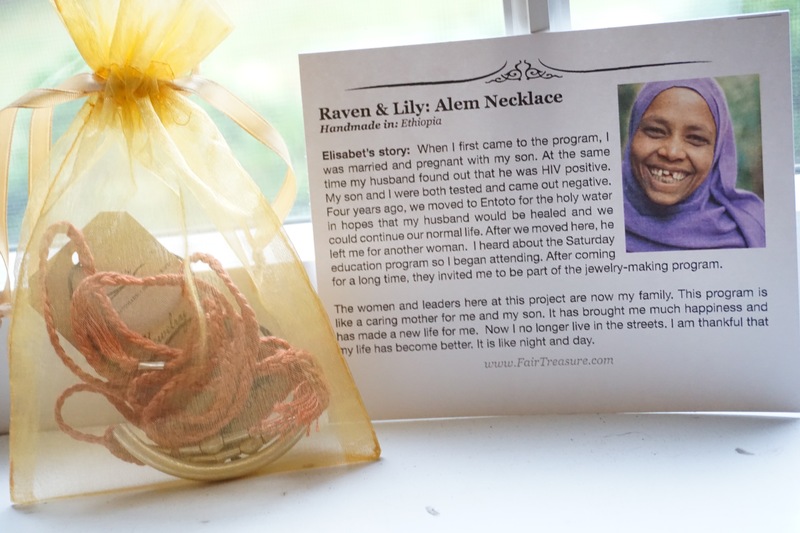 I also love that each set has a special meaning and the sales give back to charity. 5% of every sale goes to support the Kid for Cancer to help children who are battling cancer. Also, keep an eye out in October for limited edition breast cancer awareness bracelets that donate a portion of the sales to the Breast Cancer Research Foundation. I feel in love with the meaning of each stone in this set. 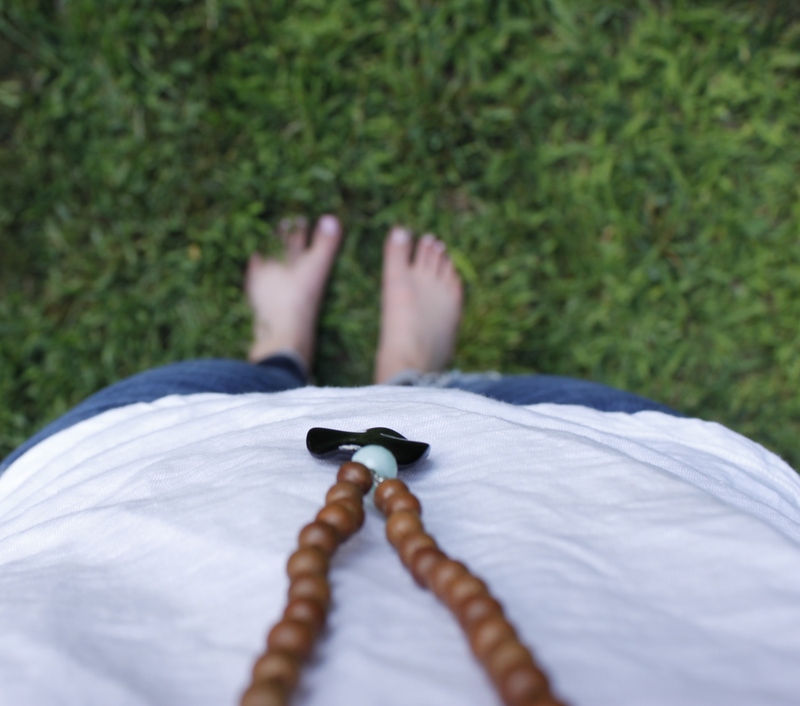 Wearing my mala as a necklace also serves as a reminder of my intentions. Everyone will be drawn to different types of stones depending on your desired intention. 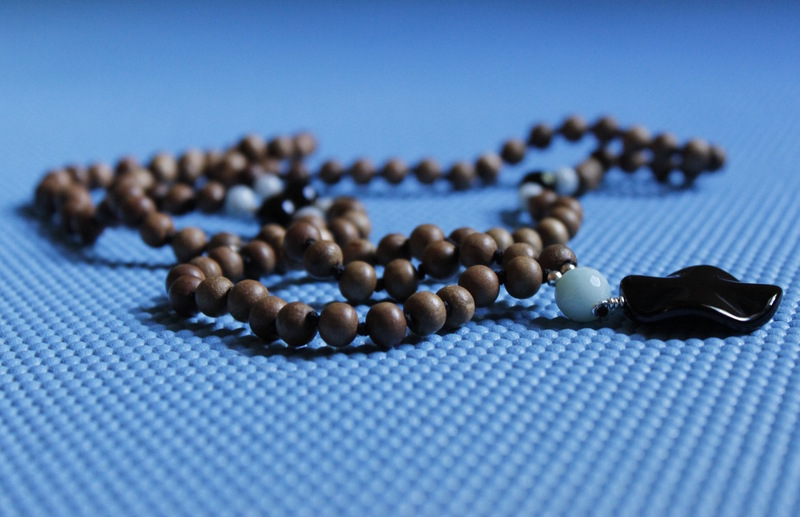 Meditating with mantras and mala beads is only one of many ways to practice. 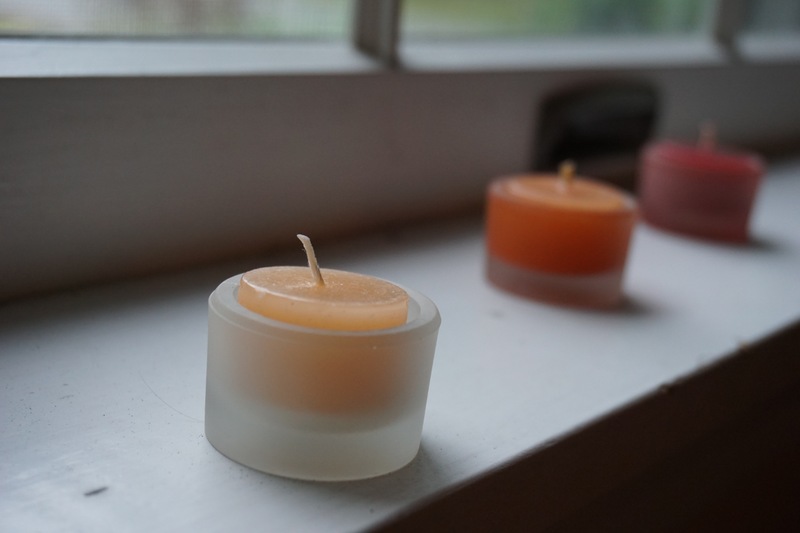 Besides using mantras you could focus on breath, music, an object, or mental visualization. And there really is no right or wrong way to meditate. What technique works the best for you? Categories: Uncategorized | Tags: Blooming Lotus, Cancer, Charity, fashion, Health, Inspiration, Life, Lifestyle, Mala Beads, Meditation, Mindfulness, Wellness, Yoga | Permalink.